Gourmet Foods, Meats, Sandwich Fixin's, 2-3 lb. Smoked Boneless Ham 10 oz. Beef Thuringer 10 oz. Beef Salami 7 oz. Smoked Cheddar Cheese 8.5 oz. German-Style Mustard 8 oz. Horseradish by Unknown at 365 Days Of Kindness. MPN: 1. Hurry! Limited time offer. Offer valid only while supplies last. 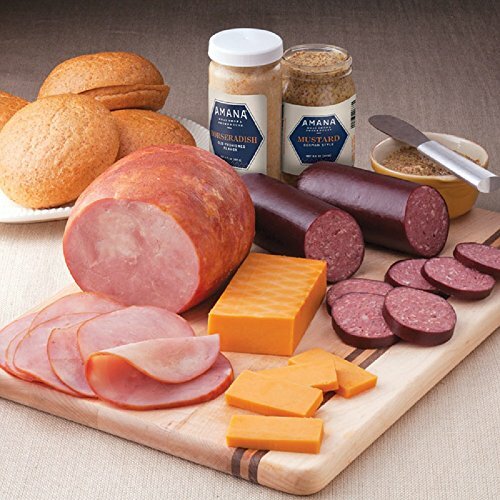 Liven up your lunch with our collection of Amana Sandwich Fixin's. Everything will be at your fingertips for super subs and delicious clubs. 2-3 lb.